A Long Island wedding is nearly synonymous with a waterfront wedding. If you’re not planning to have your wedding at one of Long Island’s Gold Coast Mansions you are probably thinking along the lines of a waterfront catering venue. One of my favorites, where I have worked more times than I can remember, is The Venetian Yacht Club, located on The Great South Bay in the Village of Babylon, NY. 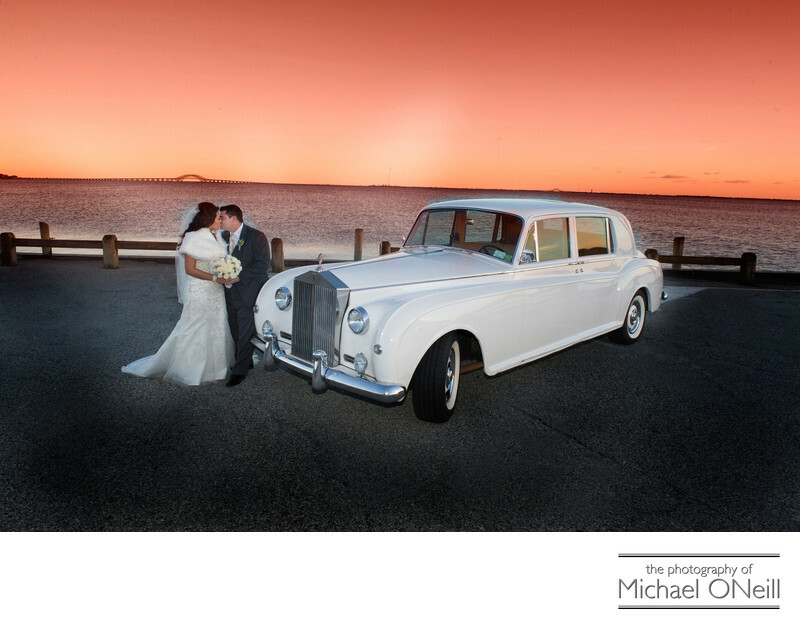 Sunset pictures are the favorites of so many brides and the Venetian Yacht Club never fails to deliver in this regard. Poke around this web site and you will see a few more spectacular sunset images captured at this awesome venue. Better yet, give me a call here at my East Northport, New York studio and gallery and we can get together to discuss your wedding photography expectations for the big day. There are countless waterfront catering venues lining the North Shore and South Shore of Suffolk and Nassau County on Long Island. I have experience working at them all. Some of my other favorites? The Bridgeview Yacht Club in Island Park. Chateau La Mer in Lindenhurst. The Bourne Mansion and Land’s End in Sayville. Lombardi’s on the Bay in Patchogue. Oceanbleu at the Westhampton Bath and Tennis Club. Gurney’s Inn, Montauk Manor and the Montauk Yacht Club. Lombardi’s on the Sound in Port Jefferson. The Harbor Club at Prime in Huntington. The Crescent Beach Club in Bayville. These are just a few of the wedding celebration venues I’ve had the pleasure of working at. I hope to capture an awesome wedding day waterfront sunset for you. Give me a call.